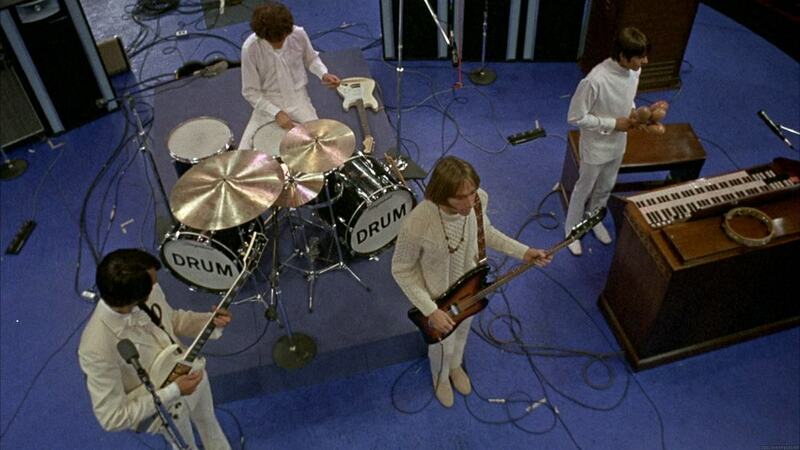 "The greatest live performance ever made by a rock band . 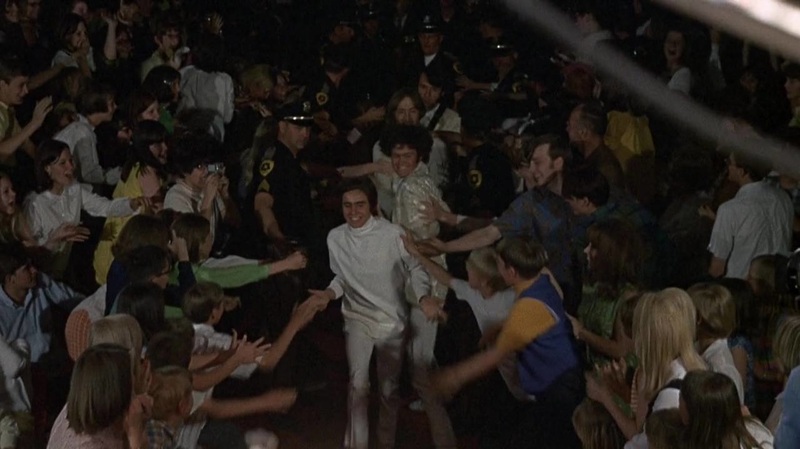 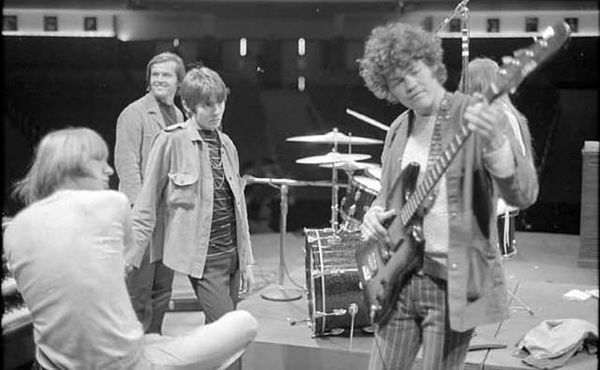 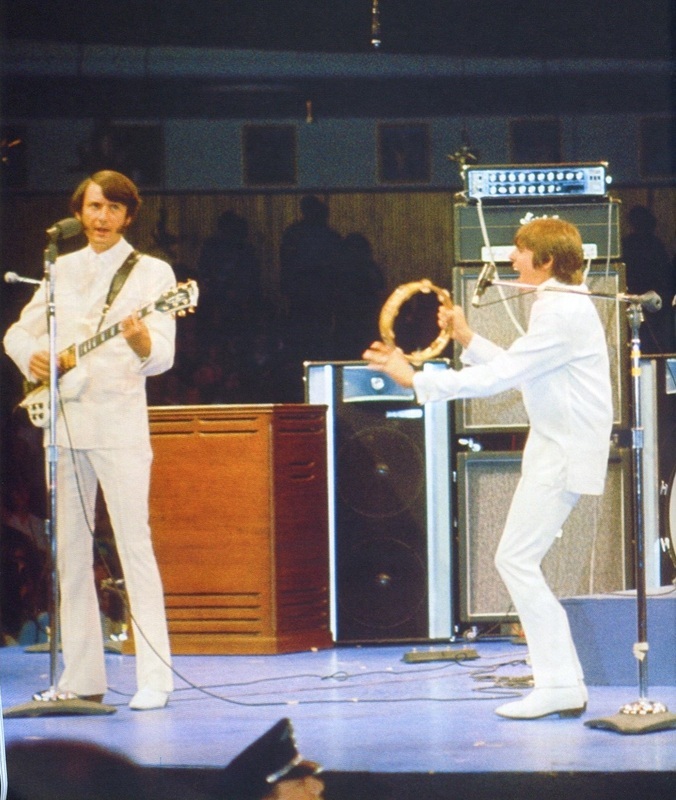 . . "
live version of "Circle Sky"
​​The Monkees finished their first and only motion picture, Head, with the filming of the "Circle Sky" concert scene in front of four thousand fans at the Valley Music Hall in Salt Lake City, Utah. 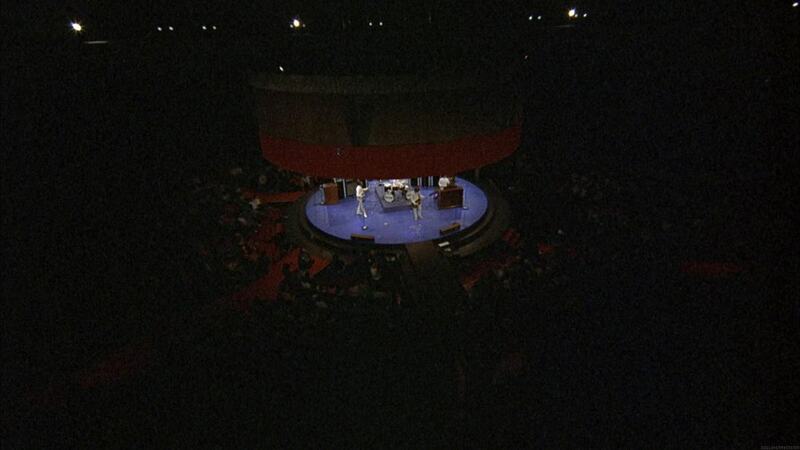 They performed "Circle Sky" (seen below in video) several times for the cameras and also did a handful of other special requests. 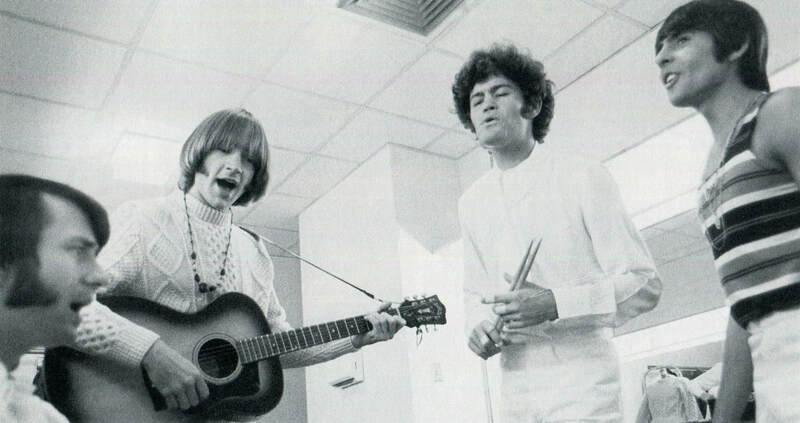 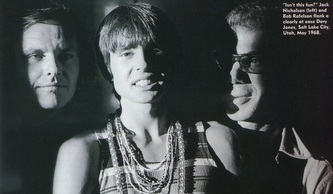 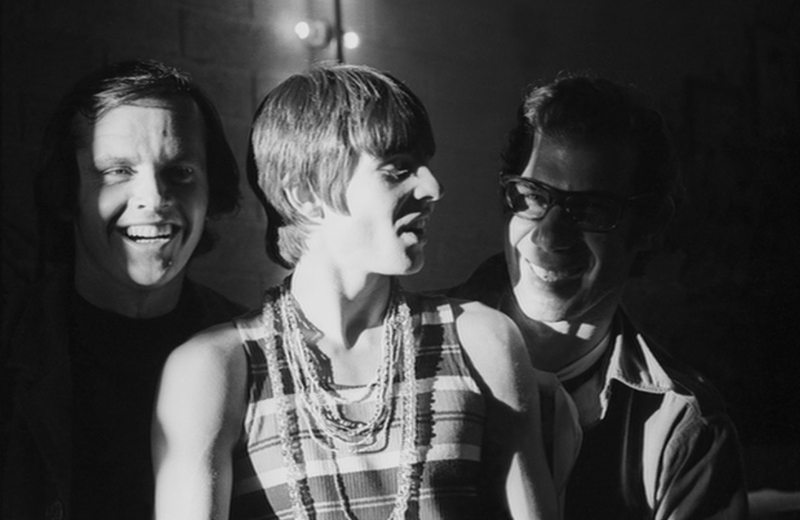 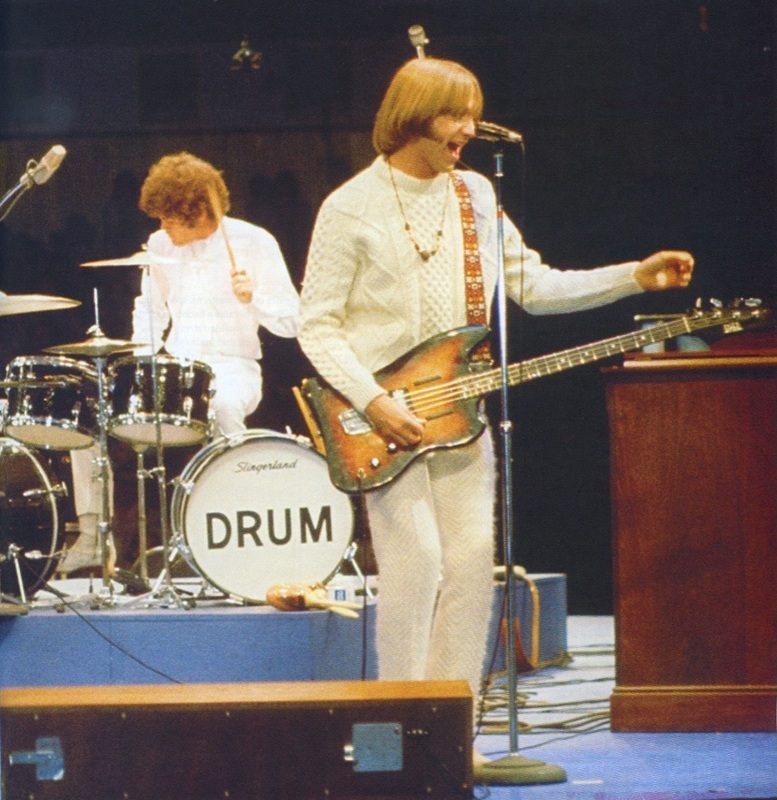 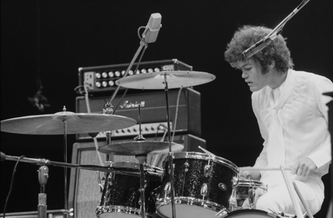 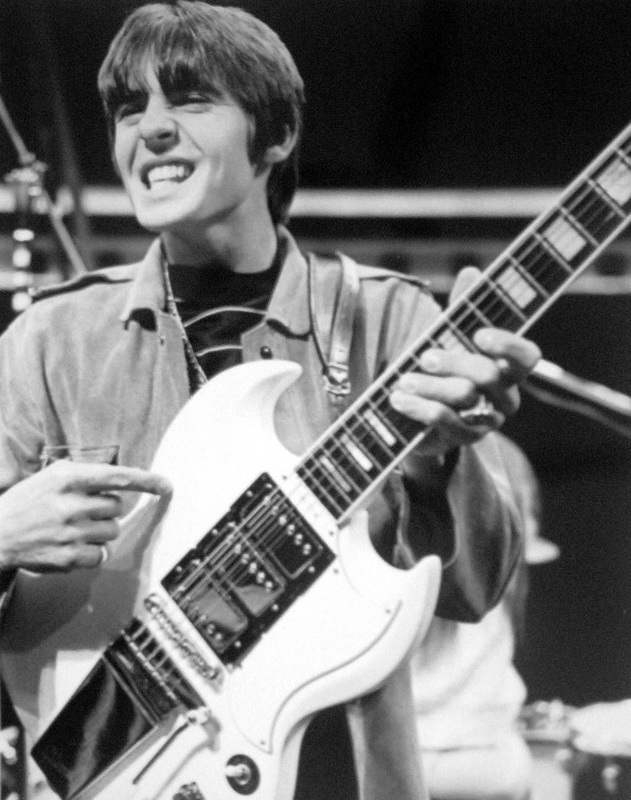 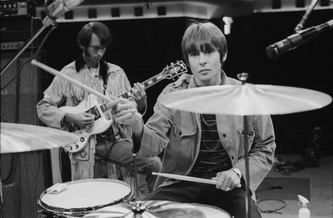 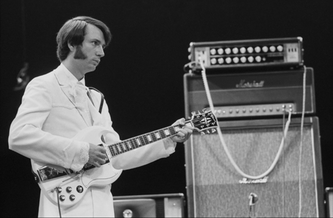 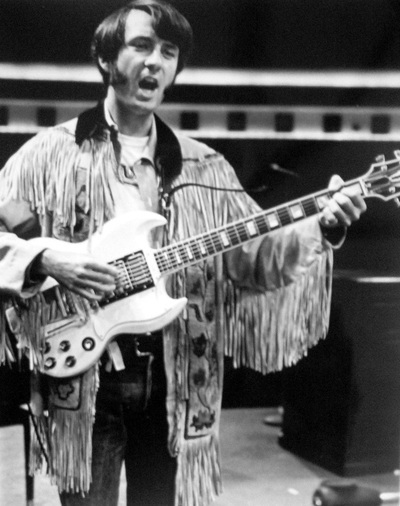 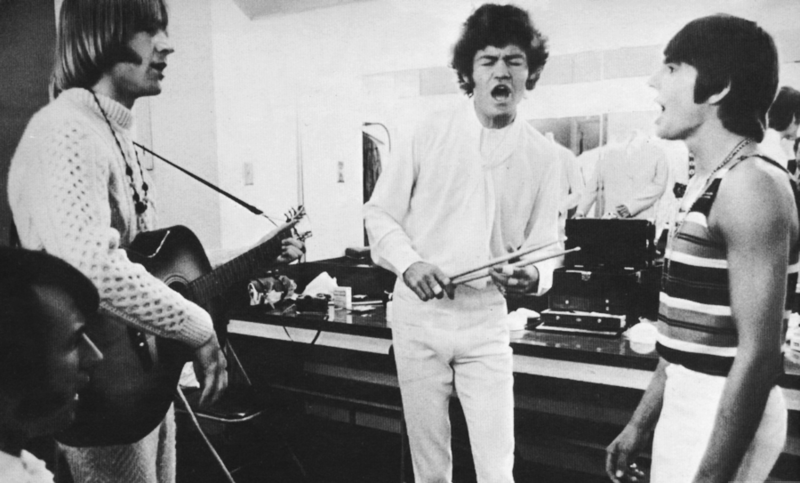 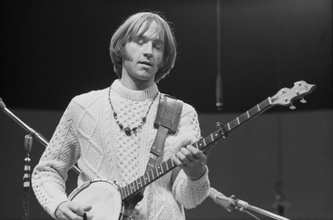 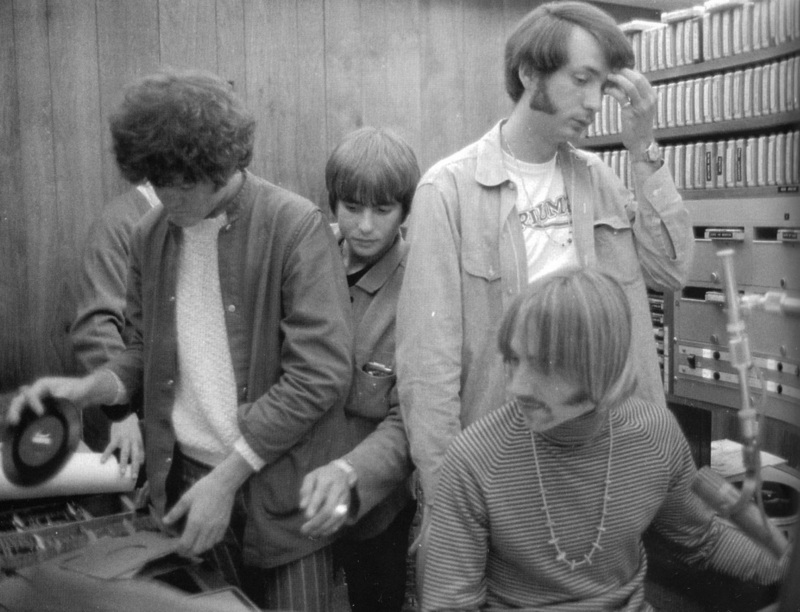 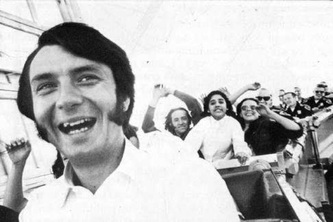 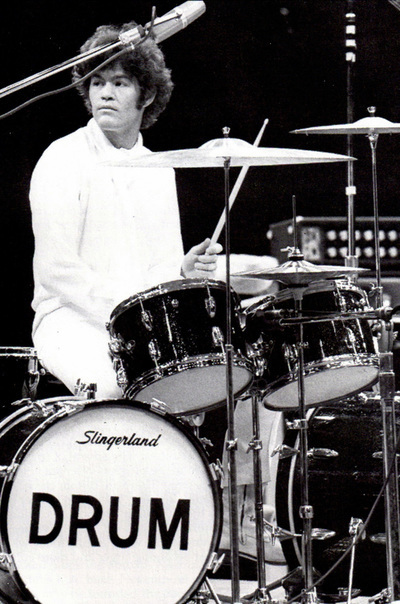 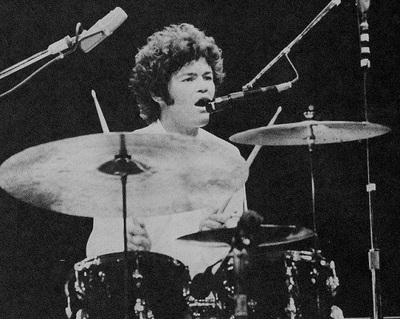 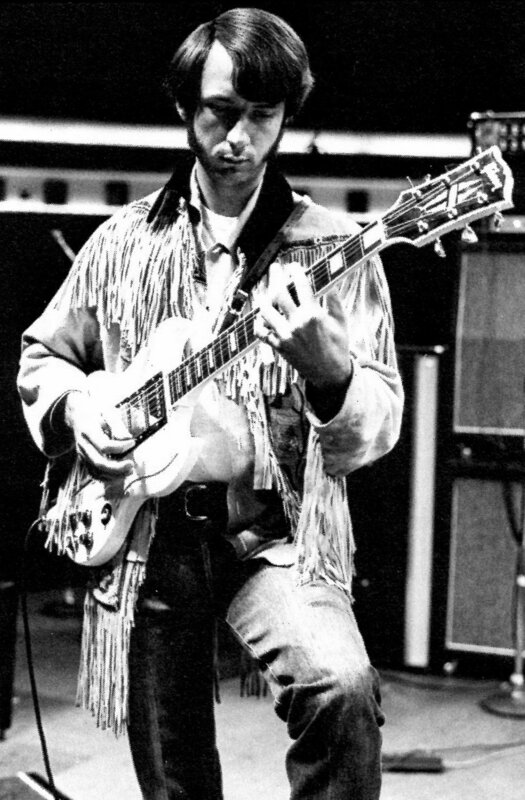 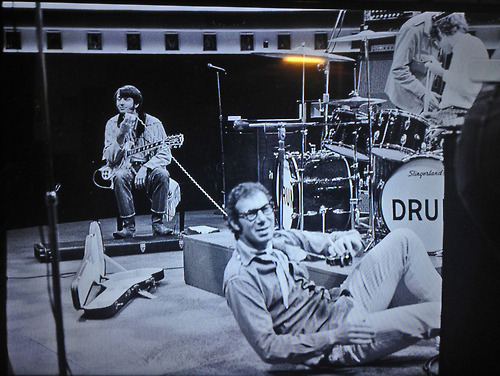 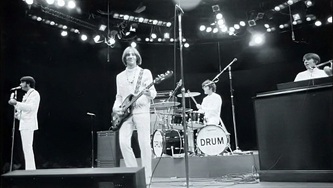 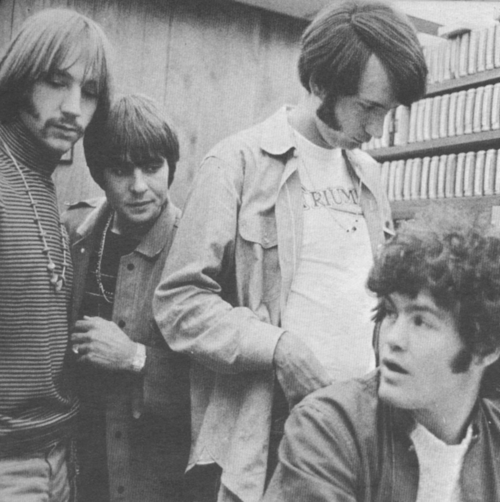 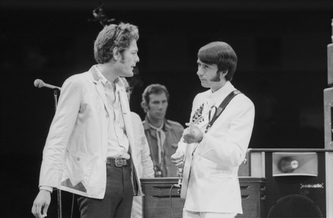 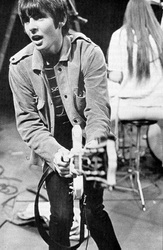 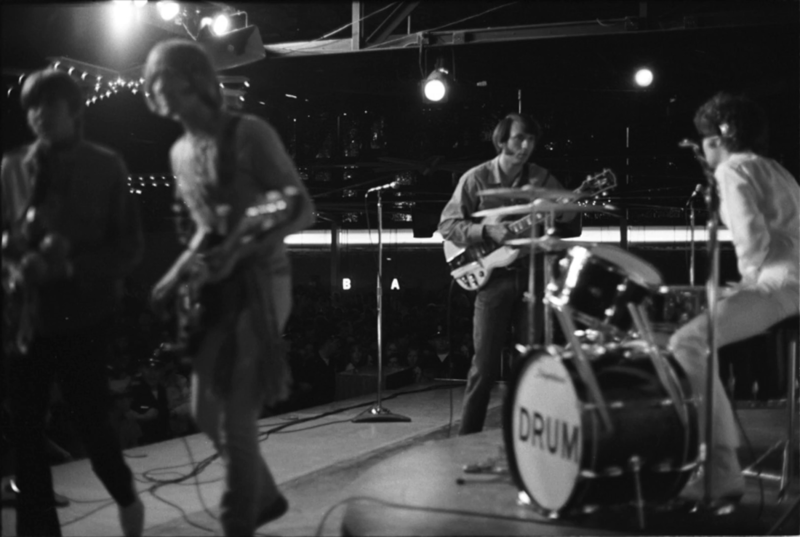 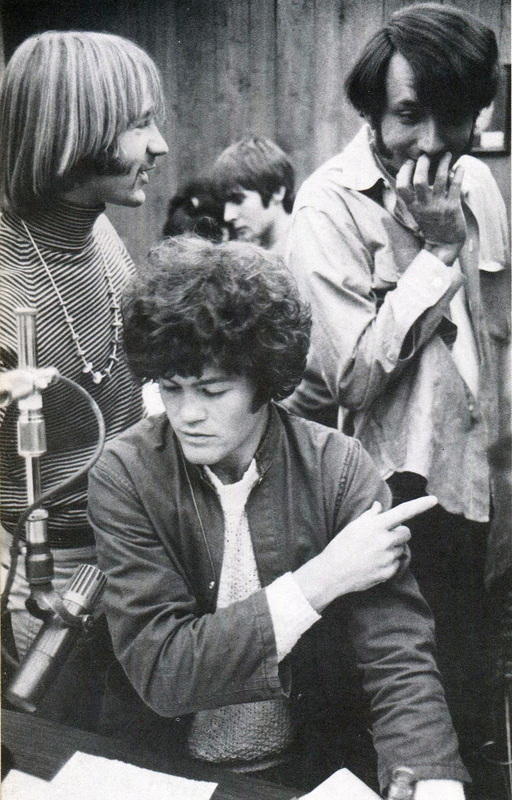 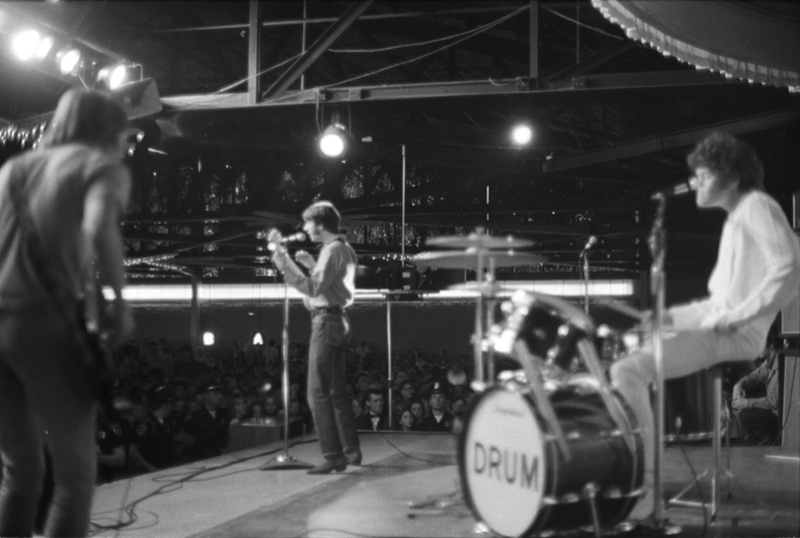 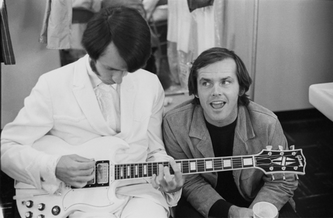 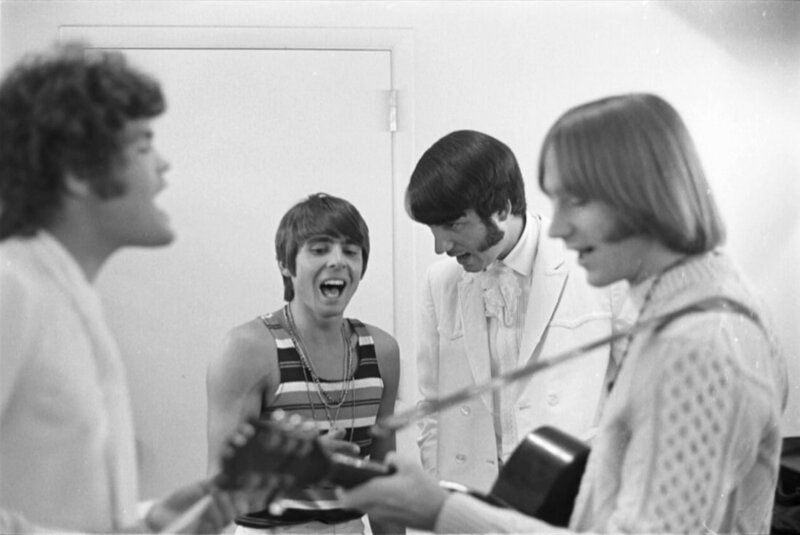 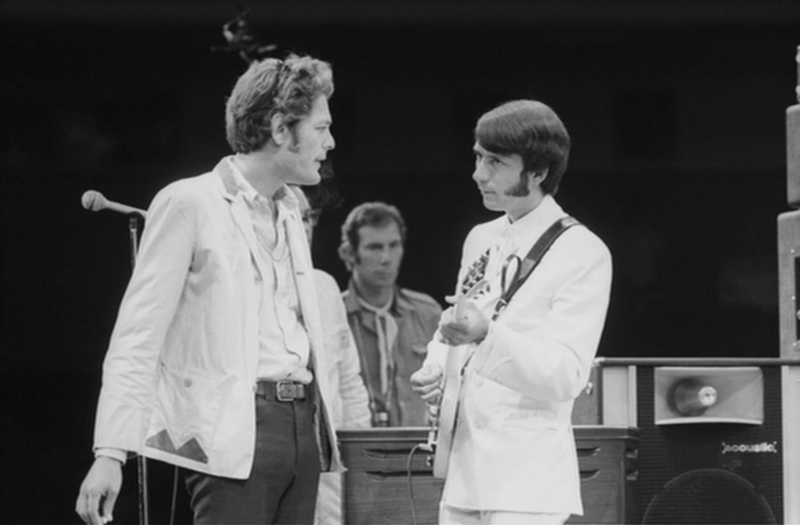 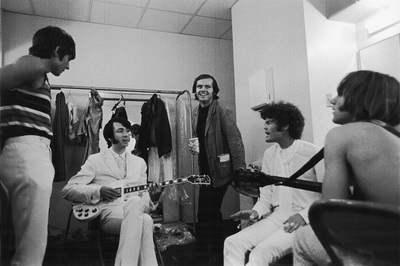 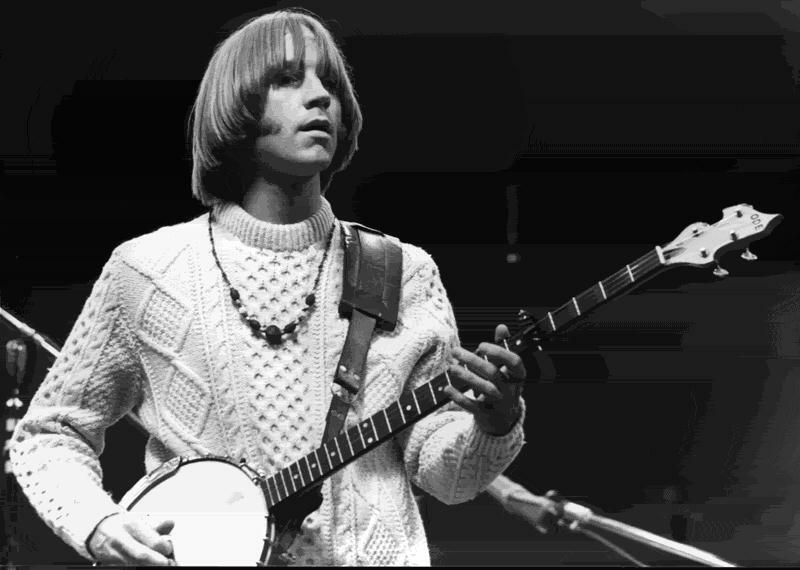 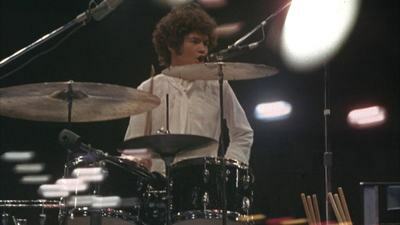 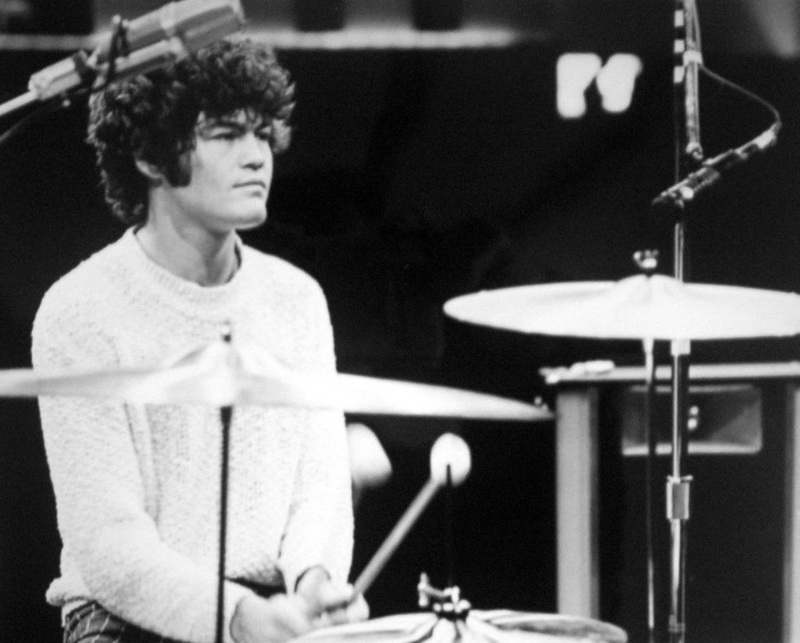 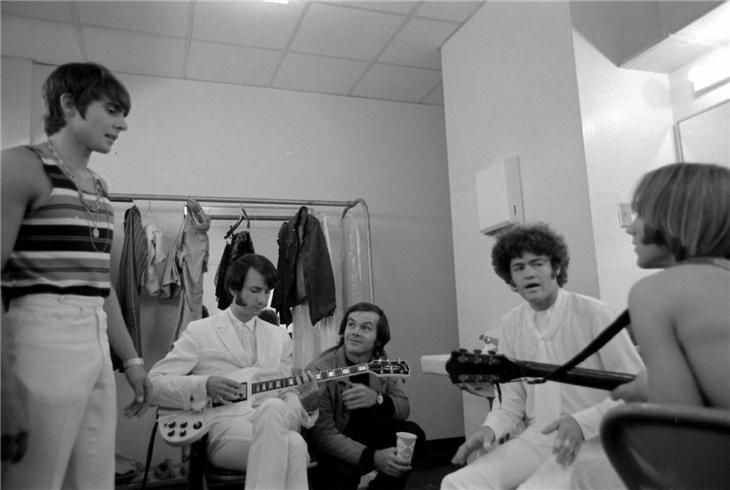 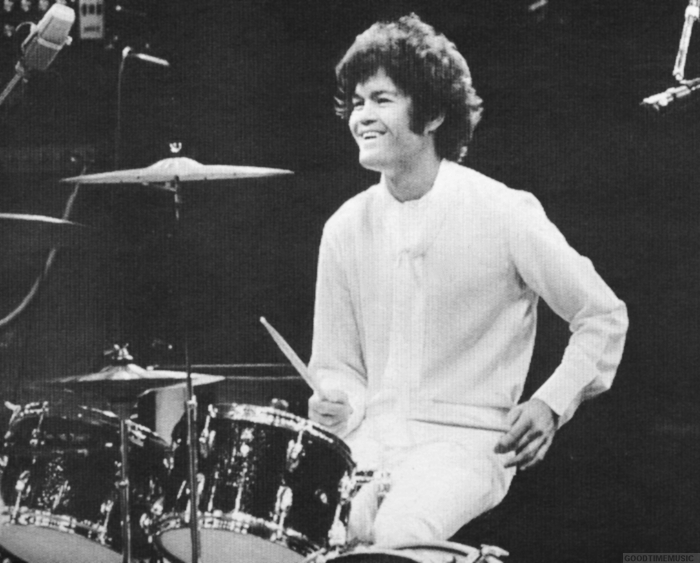 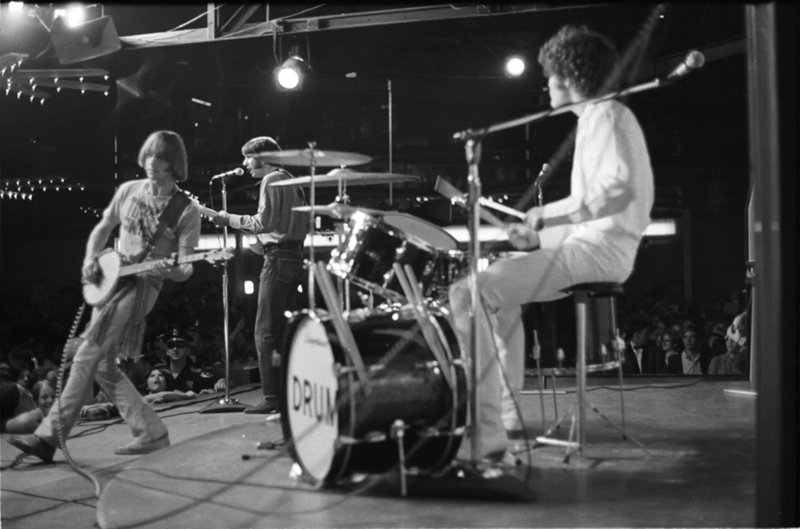 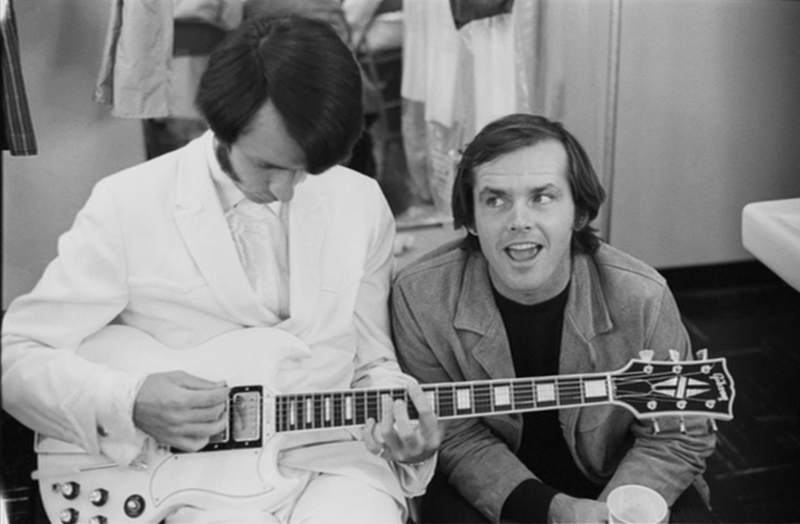 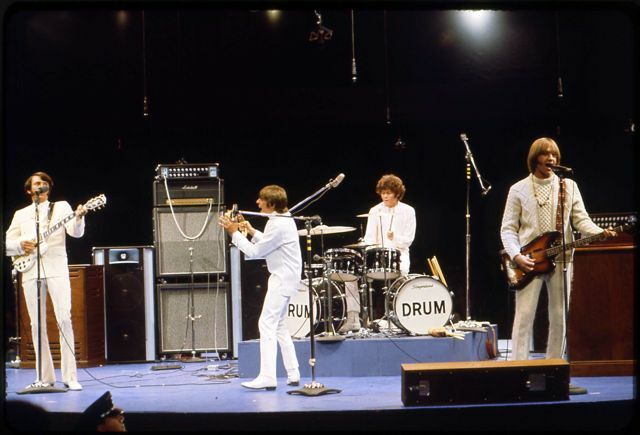 Micky played the drums; Mike was on lead guitar; Peter switched between bass, organ, and banjo; while Davy handled percussion and also played the organ during "Circle Sky." 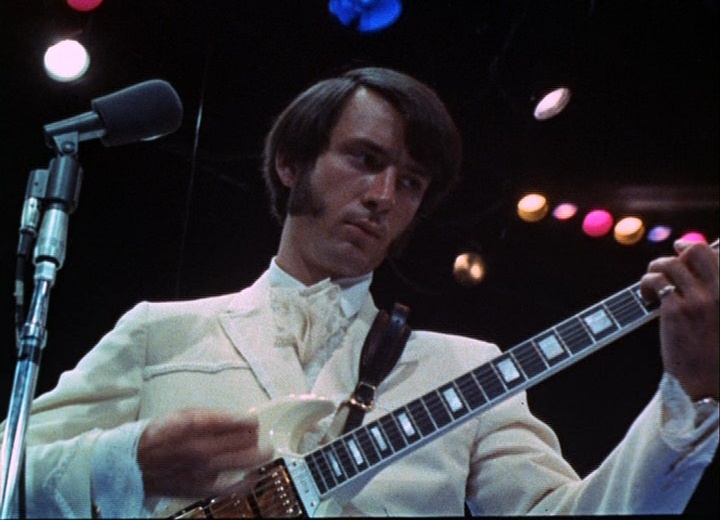 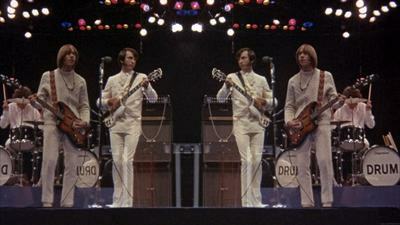 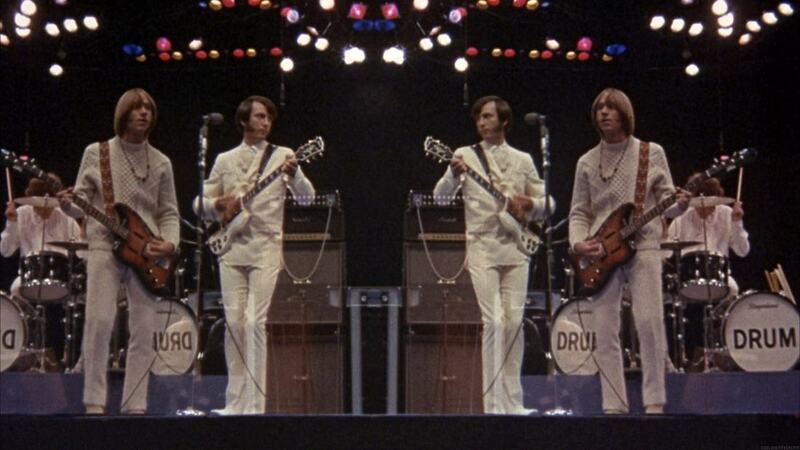 Private home reel video footage of this concert exists and has been seen in bits and pieces over the years on releases like Rhino's Heart and Soul: The Official Monkees Videography. 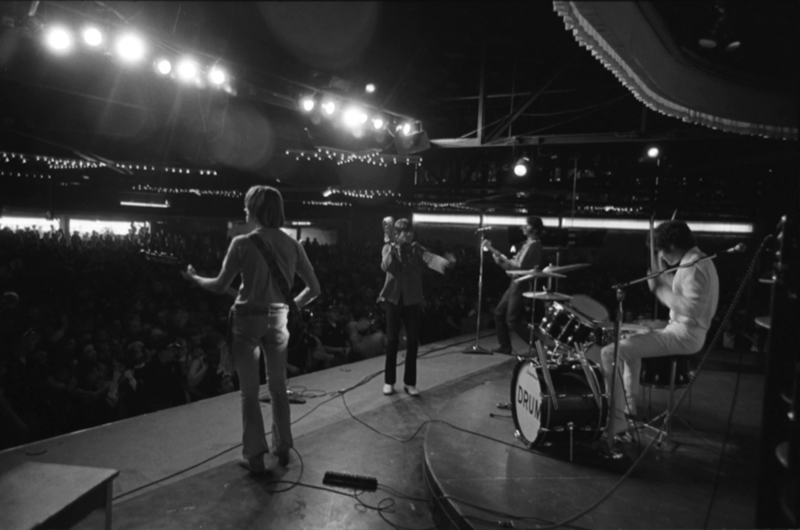 ​Patio Gardens, a venue housed inside the Farmington, Utah amusement resort Lagoon, was the original location for the filming of "Circle Sky." 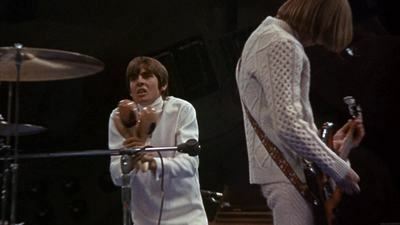 The venue was changed at the last minute to the Valley Music Hall in Salt Lake City for logistical reasons, despite fans already waiting in line at Patio Gardens. 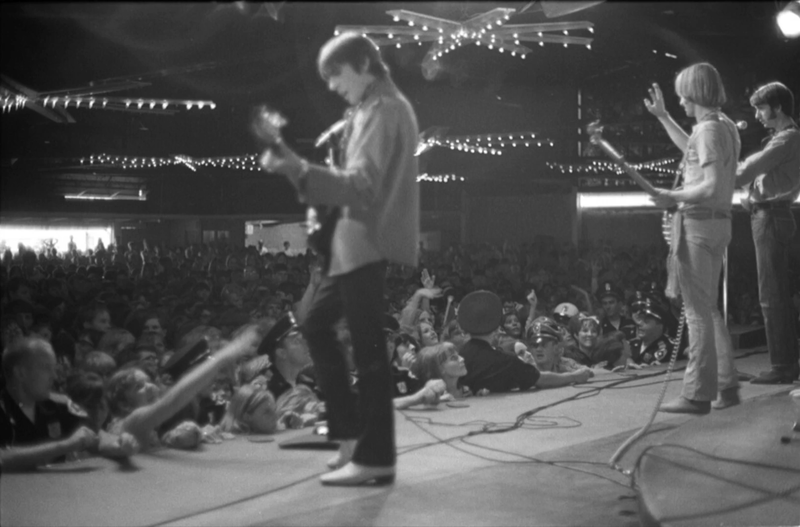 To make amends, The Monkees delivered a 30-minute set later that evening in front of a crowd of five thousand at Patio Gardens. 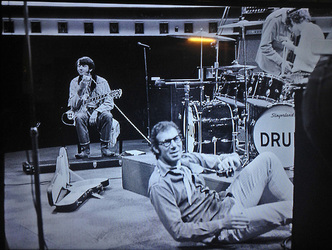 This particular show was not filmed or recorded, and a setlist has yet to surface. 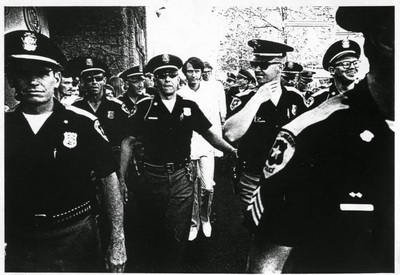 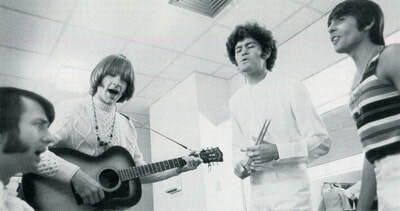 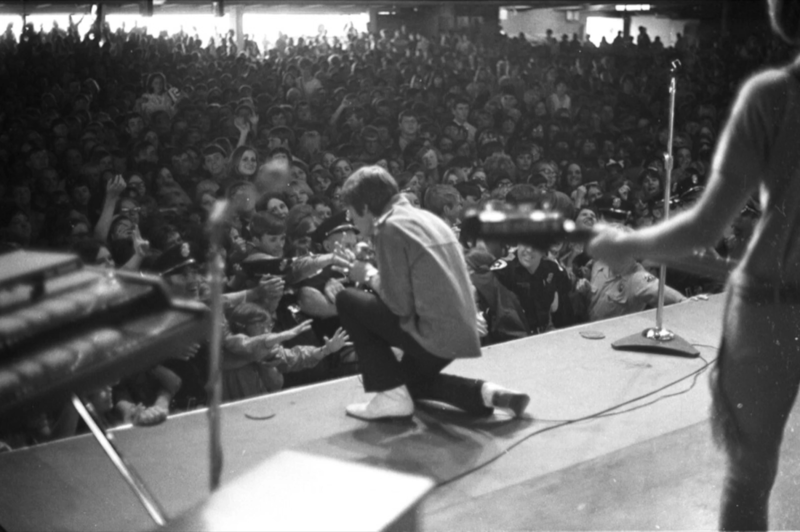 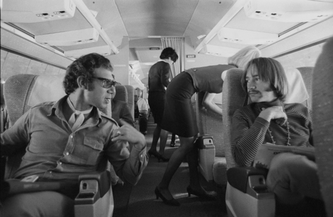 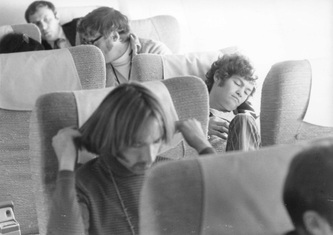 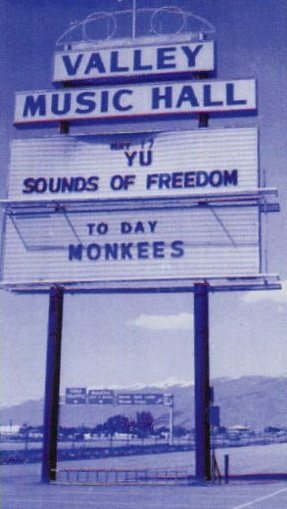 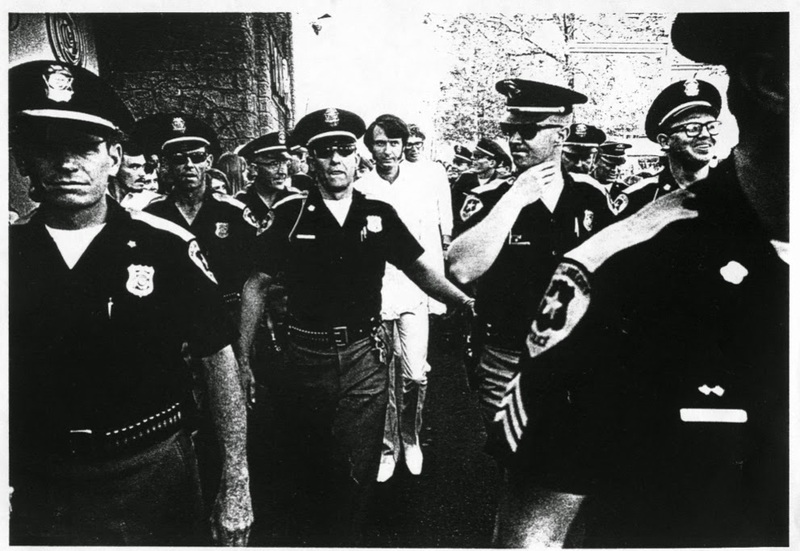 The pair of concerts in Utah were The Monkees' only live performances in the United States during 1968, and they would also mark the final time the original quartet would perform together in the US until 1986. THE PERFORMANCE OF "CIRCLE SKY"